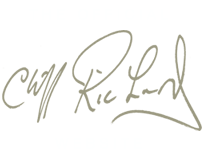 Our extensive database contains over 3000 collections and tracks recorded by Cliff since 1958, including details of most of the 43 Studio Albums, 6 Soundtracks, 35 Compilation Albums, 6 Gospel Albums, 10 Live Albums and 139 singles. Please note - while every care has been made in maintaining this resource, this is not an exhaustive list of all releases. Silhouettes / The Winner (All The Time You Need - 12"